Barlean’s is supporting Vitamin Angels through the purchase of vitamin A and deworming treatment, allowing us to deliver this lifesaving nutrient to more children around the world. Barlean’s support of Vitamin Angels began in 2006, and has only increased with each consecutive year. Since 2013, Barlean’s has been contributing to Vitamin Angels’ growth by purchasing vitamin A capsules for distribution to chidlren at risk of vitamin A deficiency internationally. 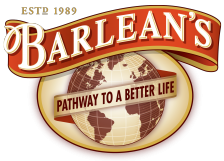 To date, Barlean's support has allowed us to reach over 16 million children! In 2014, a team from Barlean’s joined Vitamin Angels in India to see firsthand the impact vitamin A is having on children in need. 1/3 of all vitamin A deficient children reside in India, making it a top priority country for Vitamin Angels’ distributions. Through the support of companies like Barlean’s, Vitamin Angels has been able to scale up distribution in India, and is currently reaching more than 7 million children there this year. Vitamin Angels thanks the entire team at Barlean’s for your incredible commitment and dedication to the children we serve!